Dermatologists should educate their patients about the procedure, safety and efficacy of LipoDissolve so that they can make an informed decision about their choice of treatment. Patients should understand that LipoDissolve is not a weight reduction procedure, but it reduces fats from specific bulging pockets of the body. It helps to improve the shape and contours of the body rather than focusing on weight loss. Prior to administering the LipoDissolve injection into the targeted fat pocket, the doctor will apply local anesthesia to make the patient comfortable. Laughing gas may also be used as a more effective anesthetic to reduce patient discomfort significantly. After the anesthesia, the doctor will systematically inject LipoDissolve into the treatment area with the help of a fine needle after disinfecting the area. Multiple injections will be required for each area, with a space of about 1.5cm between the injections. The process is usually performed with the patient lying down. Minor recovery time may be necessary before the patient can drive back home. A majority of patients may require two to three treatments at an interval of two months each. Each treatment involves a small target area to ensure that the procedure is performed safely and conservatively. A good candidate for this procedure will have a general good health, no known allergies, and no substance addiction. People with realistic goals from the treatment will be able to appreciate the results. 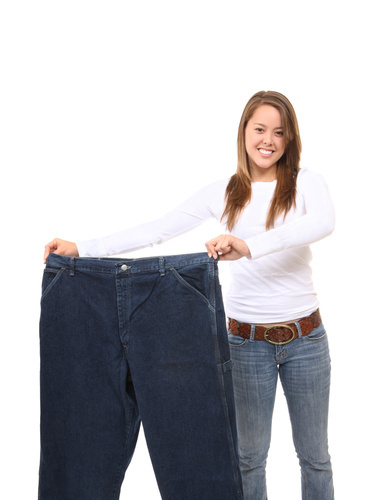 Patients should be aware that it is not a weight loss procedure, but a fat reduction procedure aimed at improving the body shape and sculpture. Patients who are prone to scarring and wish to avoid surgery may consider LipoDissolve as a good alternative to liposuction. If the number of fat pockets is large, or the deposits are located in an area that is difficult to operate surgically, LipoDissolve may be used in such cases. Pregnant women or breast feeding mothers should avoid this treatment. Patients with kidney, liver, or auto-immune diseases are also unsuitable candidates for LipoDissolve. Many patients get caught in the dilemma whether to opt for lipsosuction or LipoDissolve. Both procedures have their own pros and cons, and the answer to this dilemma will differ for each patient. An experienced dermatologist who understands both these procedures may be in the best position to resolve this dilemma after interacting with the patient and evaluating the patient’s physical condition. Liposuction is a major surgery with a considerable recovery period. It can treat multiple areas in a single session, whereas LipoDissolve must be performed in intervals. Liposuction will also be usually more expensive procedure. Therefore, the best choice must be made depending on the patient’s specific needs and goals.